Learn how Rohan Mahtani has helped over 50,000 people get more interviews and land better jobs using his resume feedback tool, all while working a full-time day job. Since the launch in October last year, it’s been super fulfilling to know that over 50,000 people have used one of our tools! They’ve been used by job seekers across a wide range of disciplines and stages, ranging from students to executives. Additionally, our LinkedIn optimization tool has even been used by entrepreneurs, marketers and recruiters who are looking to improve their personal brand and get more opportunities via LinkedIn. 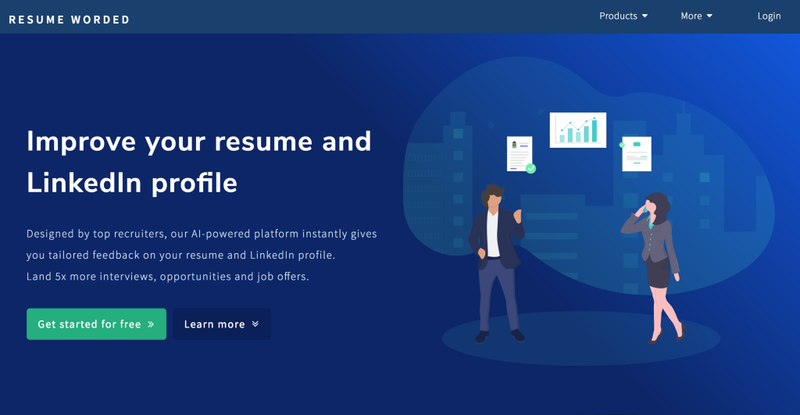 While the product is currently targeted at job seekers, we also have a number of career coaches who are using Resume Worded’s Coach platform to manage and offer resume/LinkedIn coaching to their clients at scale. I’ve always loved quickly building products that solve customer problems, and prior to Resume Worded, I launched a couple of side projects alongside my full time job. These included Instamake, a curated directory of no-code tools you can use to build a startup, and Quickit, a text message concierge service in London. In terms of my background, I was born in Mumbai, India, but spent the first 13 years of my life in Lagos, Nigeria. I then moved back to Mumbai for high school, following which I moved to London to study Computer Science at Imperial College London in 2011. I’ve been in London since! Most resume-related products out there are focused on only the visual elements of resumes (i.e. templates) and don’t address the problem that what people struggle with is the actual content and wording of their resumes. Even if English is your native language, it’s hard to write impactful yet concise bullet points to describe your achievements. Most people, including me, work best with examples. We end up asking our friends for examples of their resumes, which give us great ideas on what sentences work and how to word them. This gave me the initial idea of the first version of Resume Worded, which consisted of just sample bullet points from top resumes of people in my network. Since then, the product offering has expanded significantly. We’ve launched a number of products which are centred around our mission: to help as many people achieve their career goals. The first version of Score My Resume, our automated resume scoring and feedback tool, took 4 months to build. 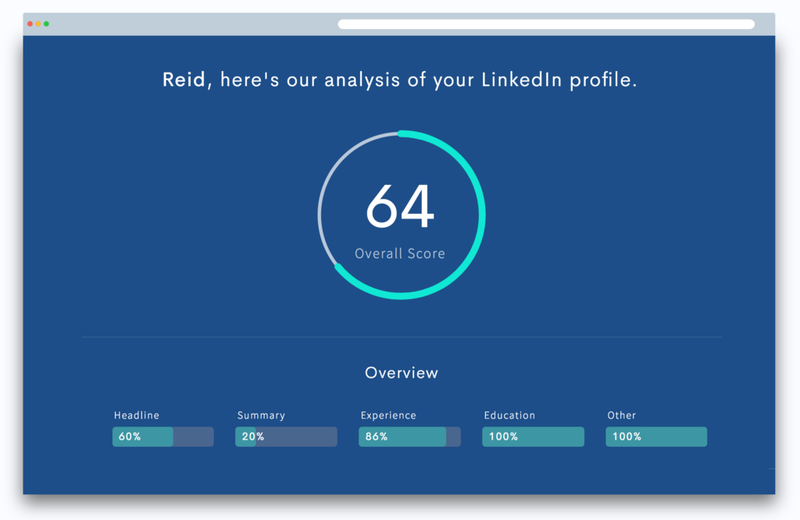 For context, here’s how the tool works: users upload their resume, and our tool parses, analyzes and scores it based on 100+ attributes. It then generates a detailed report with human-like feedback and presents it to the user. I’m fortunate to have studied Computer Science at university, and had experience with Python + the LAMP stack (Linux, Apache, MySQL, PHP). These technologies make up the core of the platform. I used Python and the spaCy NLP library to parse resumes. Parsing resumes was challenging, since there are hundreds of thousands of resume templates! Additionally, people use a unique number of ways to represent their section titles, bullet points, dates, etc. It took a while to train our model, but by now, the model’s been trained on several thousands of resumes and is able to recognize sections and bullet points for pretty much any readable PDF resume — something I’m super proud of! A big thank you goes out to all our users (both during beta and post launch) who gave constant feedback and reported any issues over the past year. I then worked closely with 3 hiring managers and recruiters to design the rules and scoring. I codified these using a number of rule-based scoring methods and decision trees in Python. The whole project was technically very challenging to build and was a crazy learning experience for me. It also certainly didn’t help that I worked on this as a solo developer/founder alongside a full time job. If you’re in a similar position, I really recommend breaking up your project into as granular tasks as possible. This really helped me stay focused on individual tasks and see real progress. Small, consistent progress really does add up. It’s weird but I actually found that having time constraints (i.e. working alongside a full time job) really helped me define and stay focused on the problem and the critical user journeys I was solving. I was able to ruthlessly descope any feature that didn’t contribute to solving my problem. I launched the very first version of Resume Worded on Hacker News, Product Hunt and various subreddits on Reddit. I was fortunate to have gathered a lot of traction via these mediums. People enjoyed the first version of the product and I was lucky to generate a handful of sales plus a number of newsletter subscribers & users on day one. I’ve explored a ton of avenues when it comes to growth plus retention. The two most effective methods I want to point out are side project marketing and emails (newsletter + lifecycle). What’s side project marketing? It’s all about building products related to your main product in some way, and using that to generate leads to your main product. Take for example, this Resume Checklist I launched on Product Hunt. It’s a totally free checklist of what a good resume should have — this generated thousands of users to my main site, who were already interested in resumes. Keep your side projects you intend to use as marketing tools free — think of them as content pieces that stand out in the crowded content marketing space. And here’s the best part about side projects: they can have separate launches! You’re not restricted to your first product launch since you can launch your side projects as separate products. Emails have helped me grow my company too. When you launch, you should definitely include some kind of way to capture your user emails so you can reengage with them later via a newsletter. One thing that’s helped me drive engagement is lifecycle emails. When a user signs up, they get emails over a couple of weeks which introduce them to various features of the product as well as premium features. The remainder of my growth has come from word of mouth. The biggest tip I can give here is to actually ask your customers to share your product! Don’t just put a share button at the bottom of the page, but instead, be specific. Tell them who you’d like them to share it with (e.g. their Facebook friends, their professional network) AND tell them why they should share it (e.g. will they get any discounts, etc). If they’ve gotten value out of your product, they will! Resume Worded is freemium. Users can access a majority of the features for free, but pay to access Resume Worded Pro which includes unlocking their full resume review and accessing the entire database of sample resume lines and metrics. I charged users from day one. I think this is important — you don’t really know if users really want something unless they pay for it. Introduction of automated lifecycle emails: I mentioned this earlier too. This introduced free users to features they didn’t know of, thus increasing our product’s value to them, which also led to more sales. It also reengaged inactive users. Our mission is to help as many people achieve their career goals. All our goals are centred around this mission. I’ve been actively talking to our users and we have a number of features in the pipeline in the near term. These are geared toward providing more value to our current as well as future users. Expect a Resume Worded 2.0 launch this month! Finally, growth is always my priority — I’m not only looking to explore new channels and reach more people, but I’m also planning to grow the number of coaches using our Career Coach platform. Through this, we’ll be able to enable coaches to work more efficiently and increase the employability of their clients. A key challenge with launching a resume product was that I was entering an overcrowded niche from the get go and it was hugely important to differentiate my product in some way. I noticed early on that while there are hundreds of resume products, most focused were resume builders and templates. Few focused on the actual quality, language and wording of content on resumes. And that’s what I decided to focus on (and thus the name Resume Worded!). It’s helped me keep my product differentiated from others in the space. Another challenge was dealing with drop-offs at various stages of my customer funnel. For example, some people would sign up and never upload their resume. Or some would get their resume analyzed, but never return to access their report. To solve this initially, I actually manually emailed each user who dropped off, asked for feedback, any problems they were facing, and tried to re-engage them. While this was super unscalable, I learned exactly why users left the product at every stage of my funnel. These insights also enabled me to implement the email lifecycle I spoke about earlier. Now, users get automated reminder emails to help them move further along my funnel. For example, if a user doesn’t upload their resume, they get an automated email the next day with a free resume template, benefits of using the product, plus some additional resources. It’s useful to always remind yourself of the problem you’re solving, and the user journey you want your users to go through. When thinking about a new product change or feature, make sure that change helps the user better solve their problem. Second, if you’re working on your product alongside a full-time job, get into the habit of working on at least one small task every day. Consistency is so key when building a company. In terms of resources, I really recommend Indiehackers and Julian Shapiro’s Growth Handbook. Ship quickly! Get your product in front of users as early as possible. You can build literally landing pages, shops, email lists, forms, surveys, in minutes, so do this to validate your ideas quickly. Constantly iterate on your product. Speak to your users early and find out how they’re using your product. Relentlessly focus on the problem you’re solving. Every new feature you add must help solve that problem. Charge early! It’s the best validation that you’re building something people want. You can learn more about Resume Worded over at resumeworded.com. If you need to get in touch with me, you can get in touch with me on Twitter or via email! 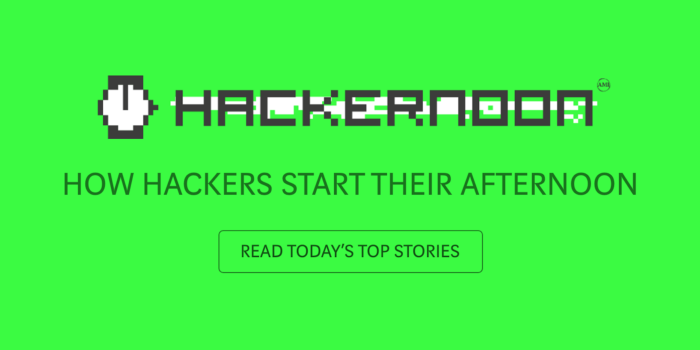 Founder Interviews: Rohan Mahtani of Resume Worded was originally published in Hacker Noon on Medium, where people are continuing the conversation by highlighting and responding to this story.